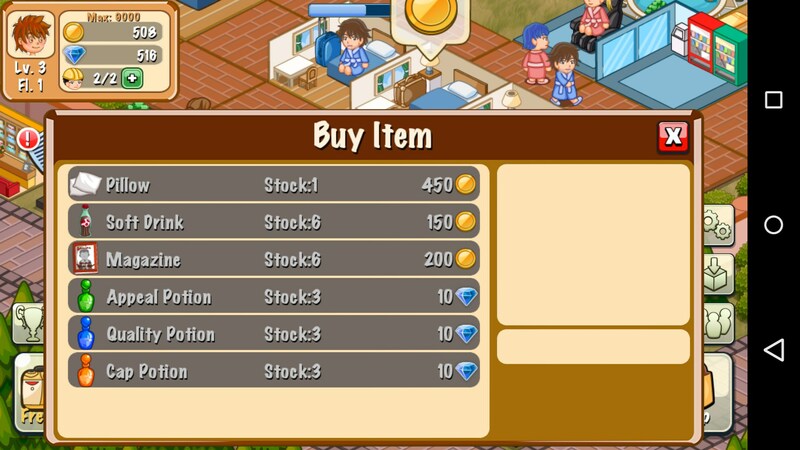 Hotel Story: Resort Simulation – Games for Android 2018 – Free download. 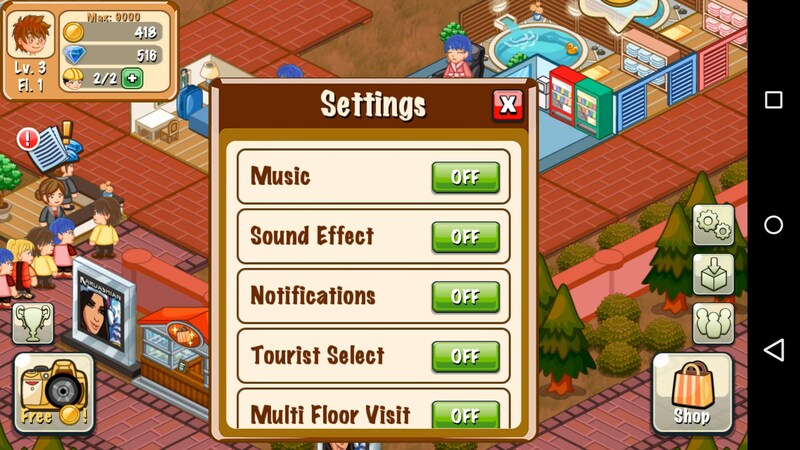 Hotel Story: Resort Simulation – A smart simulation game. 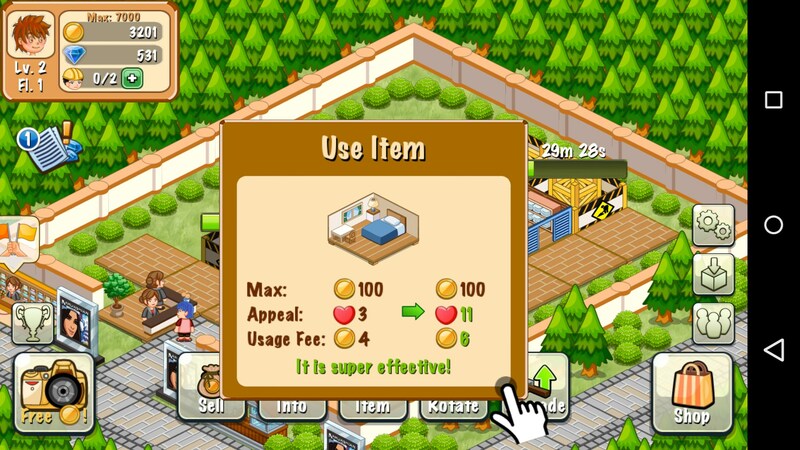 Hotel Story: Resort Simulation for Android is a hotel simulator with a surprising amount of depth to it. You’re probably familiar with other simulators that require you to build x business or city. While this one doesn’t take a super-realistic approach to it, it does introduce a lot of features that synchronize with each other in a cohesive manner. The game starts off with a pretty intuitive tutorial that does a good job explaining the basics without going overboard on it. In essence, you’re running a hotel that requires you to balance out a mix of how you’ll be earning money while accommodating your guests in an efficient way. One cool thing the game does that introduces a bit of extra depth is the inclusion of items. Each type of room, whether it's a normal room, a vending machine room, a hot tub, etc… you can buy items to upgrade that room. Rooms have appeal, they have an amount of money they can retain while you’re away, and they have an amount of money they generate in a certain amount of time. Even more than that, the way you set up your hotel plays into how much appeal rooms have, and therefore, how much money they can actually make. This brings a surprising amount of depth to an otherwise stale formula. 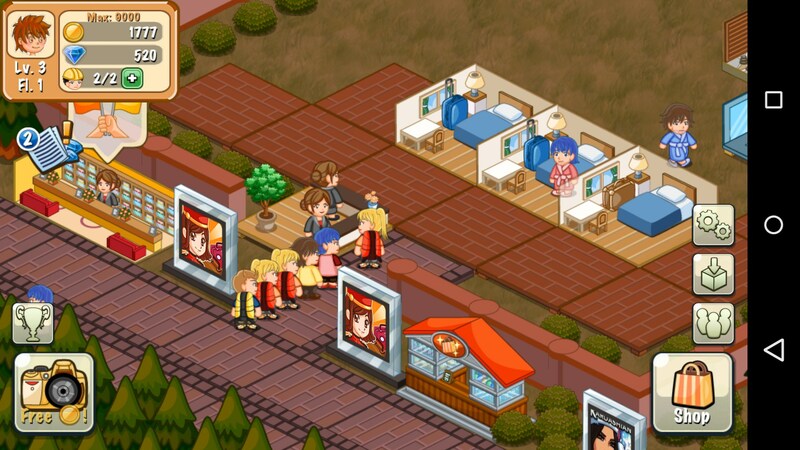 Hotel Story: Resort Simulation was actually a pretty good surprise. I usually dismiss simulators like these simply because they’re all the same, but I feel like this game actually steps up and gives the player a lot to think about to make the whole experience more enjoyable. I'd try emailing them at support@happylabsfree.com.